It’s not too early to think about skiing, and who has better resorts than France? In recent years the level of French resort accommodations has become consistent in quality and comfort. France provides a huge variety of ski experiences with resorts of all sizes, types, and altitudes. From huge, glamorous resorts spreading out for miles across the Alps to the smaller, simpler, less pricey and more homey destinations, there is a ski “station”, as they are called, for every taste and budget. 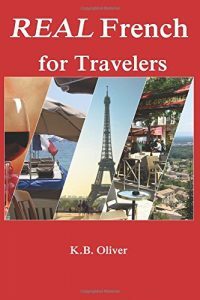 If you are in Europe during the snowy months or are targeting the many world-class resorts in southeastern France for your trip, these tips may help at just the right time. Trois Vallées and Portes du Soleil are the biggest ski areas in France. Les Trois Vallées consist of three resorts, Courchevel, Val Thorens, and Méribel. Portes du Soleil encompasses 12 individual resorts along the border between France and Switzerland. You can save money but still have an unforgettable ski vacation if you aim lower… lower altitude, that is, and less well-known. Packages can include lessons in English taught by native English speakers at certain resorts, for example in Trois Vallées and at Val d’Isère. Accommodations could be included in a package as well. 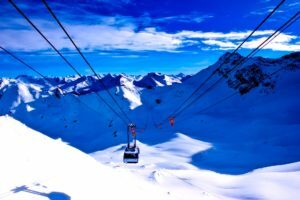 How much might a French lift ticket cost? Here’s an example for the more expensive side. At the higher end, a six-day pass at Courchevel is around 250 € and costs more for a pass valid at all 3 resorts in Trois Vallées. Currently a 6-day pass at the larger resorts will run between 250 and 300 Euros. Smaller ski slopes and those at lower altitudes will cost less, sometimes much less. You can find a 6-day lift ticket for under 150 € . It’s possible. So the range is wide. Housing will have to be added in, but a typical chalet can often hold 6 or more people. Many accommodations offer kitchens so you can make some or all of your own meals. In Europe, there are 4 ability levels, indicated by colors. Green is for beginners, blue for intermediate, red for advanced intermediate, and black for expert. A piste is a slope. Hors-piste means off-slope skiing. Sommet means summit. A forfait is a lift ticket or package. Location (loh-cah-see-on) means rental, for equipment or for housing. All of the ski areas have slopes for each ability level. However, a few are known to cater to a specific level of skiing ability. 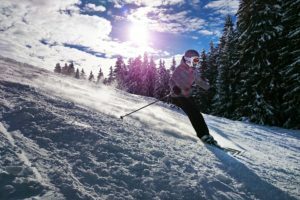 For beginners, Courchevel, even though it is the best-known and most glitzy, is well-suited to beginners. Also Morzine and Alpes d’Huez, further south. Les Arcs, one of the best-known ski areas and very popular with French people, caters to beginners as well. Intermediate Skiers Les Arcs, La Plagne, and Méribel have a good number of intermediate slopes. The average skier will be intermediate, and there are plenty of slopes of all levels to please everyone. Serre Chevalier is a collection of small towns and villages and their resort, Serre Che, near the town of Briançon, is oriented mainly to intermediate skiers. The mood here is more laid-back than elsewhere in the region. The best expert slopes can be found at Val d’Isère (1850 meters) and neighboring Tignes (3455 meters), though these also have plenty of space for other levels. Another expert destination is Chamonix, just north of Le Mont Blanc, the highest mountain in France. One advantage of high altitude is a longer skiing season. Some glaciers are even available for skiing into the late spring. If you like off-piste skiing, many of these resorts have that too. Check out Sainte Foy and Val d’Isère. Tree-lined slopes: Les Carroz, near the better-known Flaine resort has lovely tree-lined slopes. Also Peisey-Vallandry, near the town of Bourg-St-Maurice, sits next to a national forest. Off the beaten track: Megève, St. Martin in Trois Vallées (less glitzy and more homey, but lovelier than most of the resorts.) Also, Samoens, near Geneva. Lively at night Meribel, Les Deux Alpes, Chamonix, Val Thorens. Most larger resorts will have plenty to do après ski. Family resorts Les Gets (lots of family amenities but lower altitude.) In Portes du Soleil ski area. Avoriaz: higher altitude family-oriented resort, located in the Portes du Soleil group of resorts. Budget-friendly: Aussois, a smaller resort in a rural valley; fewer lifts (10), somewhat lower altitude. Lift tickets in the Maurienne Valley can cost as little as half what you will pay for a multi-resort ticket at Trois Vallées. But it depends on what you are looking for. Also Moriond, La Tania, and Le Praz are names of lower-priced resorts. Glacier skiing: the advantage here is you can ski later or earlier in the season, since the glaciers will stay snowy for a longer period than regular slopes. Alpes d’Huez, further southeast, is good for glacier skiing. Non-Skiers activities include paragliding, ice climbing, hiking, exploring by dogsled, sledding…and of course, eating, drinking, and reading/knitting/playing chess by the fireplace. If you are planning a ski vacation in the French Alps, be sure to research and book well in advance if possible. Many companies are available to organize your whole trip if you want. Or not, if you prefer the joy of putting together the pieces on your own. Have fun, regardless! And stay warm! Very interesting article for everybody, but particularly for the people who love the winter sport of skiing. 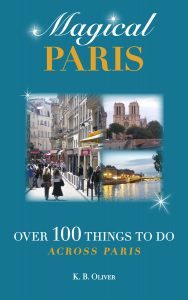 Have you been in all these places?…..if so, you really know a lot of France. I enjoyed reading you, although I don’t sky. I have been to several ski resorts in the French Alps, but not all of the ones I talked about in the post. I hope to be able one day to visit more of them!